>Tonight’s Treat review is going to be minimal. Think doggie donut, but with an actual review. I’m in a teensy bit of a funk tonight and that might have something to do with this minimalistic approach. Let me know what you think, though. Sometimes just the facts, m’am, is better than gobs of information. 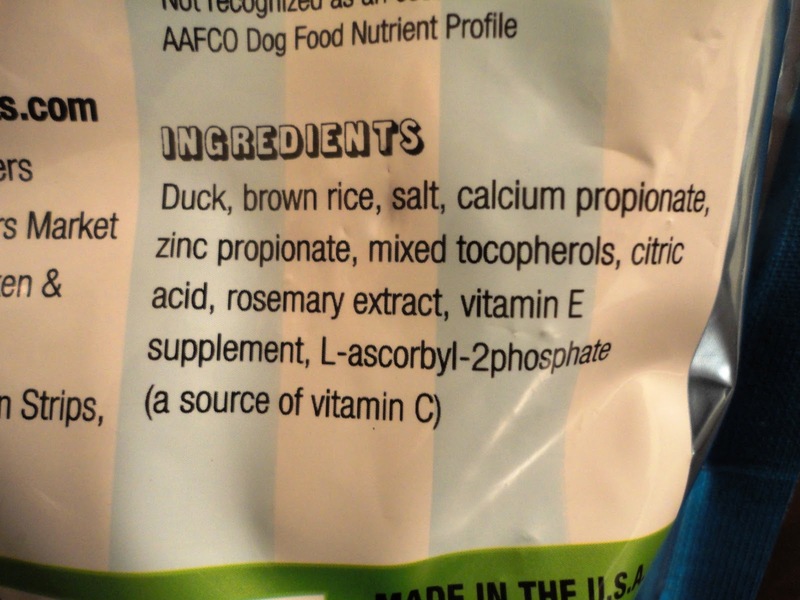 I’ll admit, it took me a while to get over the fact that these treats are made with duck. I like ducks. They’re cute and they eat slugs (I hate slugs) and they paddle around in lakes and rivers minding their own business and quacking at their ducklings and it’s a little sad to think about feeding them to TLB. So, for the sake of Her Dog Blog, I’ll try to ignore my mushy feelings toward them. I think I ate duck once at the Melting Pot. It was pretty good. Then again, if you drench anything in that much cheese its got a fighting chance. 1. Price – $9.99 for a 6 oz. bag is just ok. I guess these are unique enough to spend a little more…and the bag is pretty full. Am I justifying? 2. Quality – Made in the U.S. (Indiana, to be exact) in Plato’s own factory! Music to my ears. 3. Benefits – Hmmm…what are the benefits of a duck meat treat? Plato points out the interesting fact that up to 20% of dogs have food allergies and duck is a great alternative for those who can’t consume chicken, beef, etc. Good point, Plato. Duck is also a good source of protein and amino acids. 4. Ingredients/Features – It’s safe to say that this is one of the few treats out there that lists duck as a main ingredients. As I said earlier, duck is a great source of protein and amino acids. 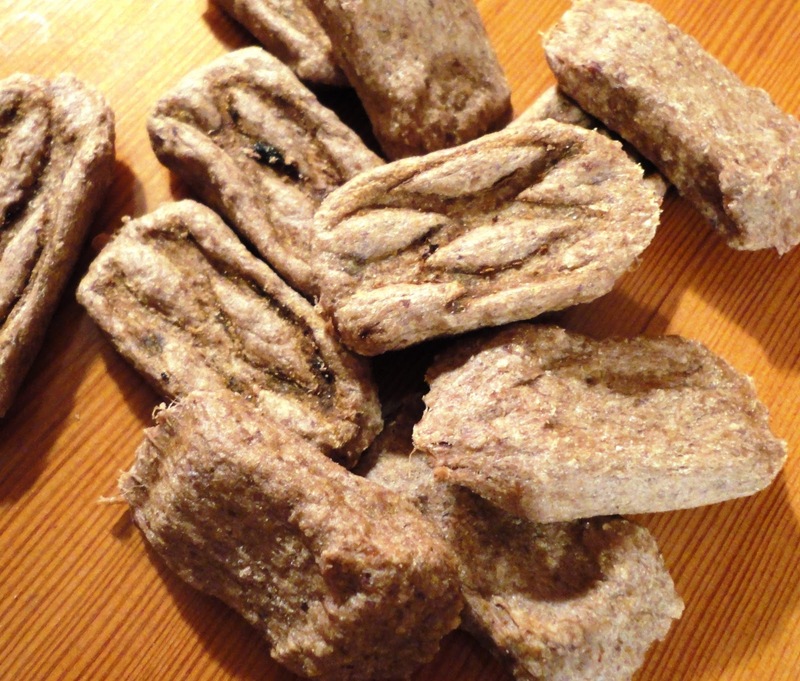 The other ingredients in this treat include such winners as brown rice (B vitamins and fiber!) and rosemary extract (prevents against cancer!). 5. T-Factor – TLB has liked these treats from the minute I opened the bag. They must smell wonderful. While he does chew this treat well, he doesn’t quite savor it. I haven’t tried it myself (hey, don’t put it past me), but this treat seems like it would dissolve if you held it in your mouth for a while. For that reason, I think he likes to gobble it up pretty quickly. 6. Uniqueness/Fun – Nothing really stands out here! 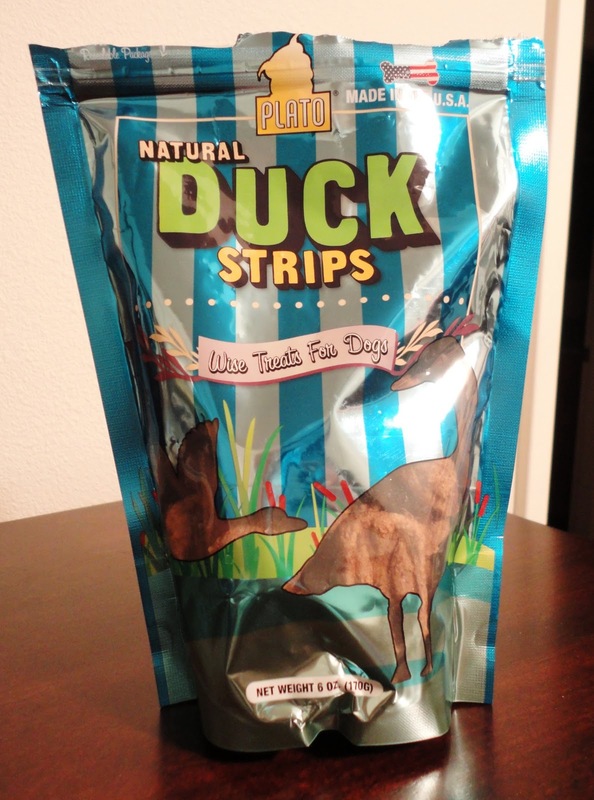 Plato’s Duck Strips earn a score of six out of ten. While we like that they are comprised of good ingredients and that Plato has addressed the important issue of food allergies with this flavor, we would like a lower price point. Also, this is a bit of a strange treat in terms of feeding guidelines. It’s not small enough to be a training treat, nor can it be easily broken to become such. Thus, we use Plato’s Duck Strips as a once-a-day type of goodie. That’s great, but you can only have so many just ’cause treats, whereas training treats are much more versatile. Posted on January 25, 2011 May 14, 2011 by Shannon	This entry was posted in This 'N' That. Bookmark the permalink. >Where did you buy these at? They look interesting enough to try. >I bought these at a local pet store called The Pet Market at Dash Point, but I've seen them at other "all natural" pet stores in a few different states! I'm sure you can also order them online. Thanks for the comment!